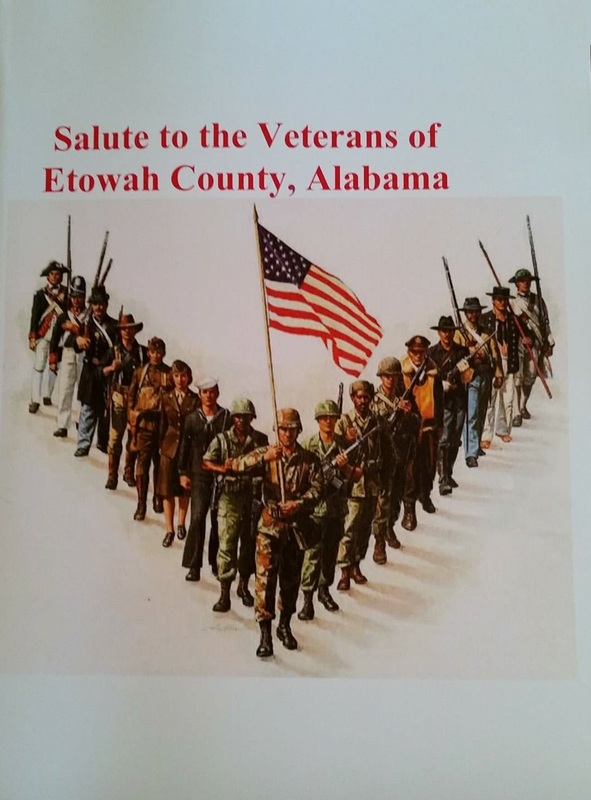 Northeast Alabama Genealogical Society is Proudly Presenting Salute to the Veterans of Etowah County book for sale. Kathy Peoples Burttram has lovingly dedicated many hours of research and compilation to bring you this book. For this, we owe her a special Thank You! The book is a tribute to the brave and courageous Veterans that were from or lived in Etowah County who served our country. It is a gorgeous book and can be purchased at Nichols Library. The book is $30.00 and you can also have it shipped for an additional $5.00. It would make a wonderful Christmas gift for someone special.